Hi Social Entrepreneurship Enthusiast, want to create sustainable business with social impact? Building business is hard, moreover if you want to make business with social impact like social enterprise. So, let us do it together with other aspiring sociopreneurs and the help of experienced mentors! 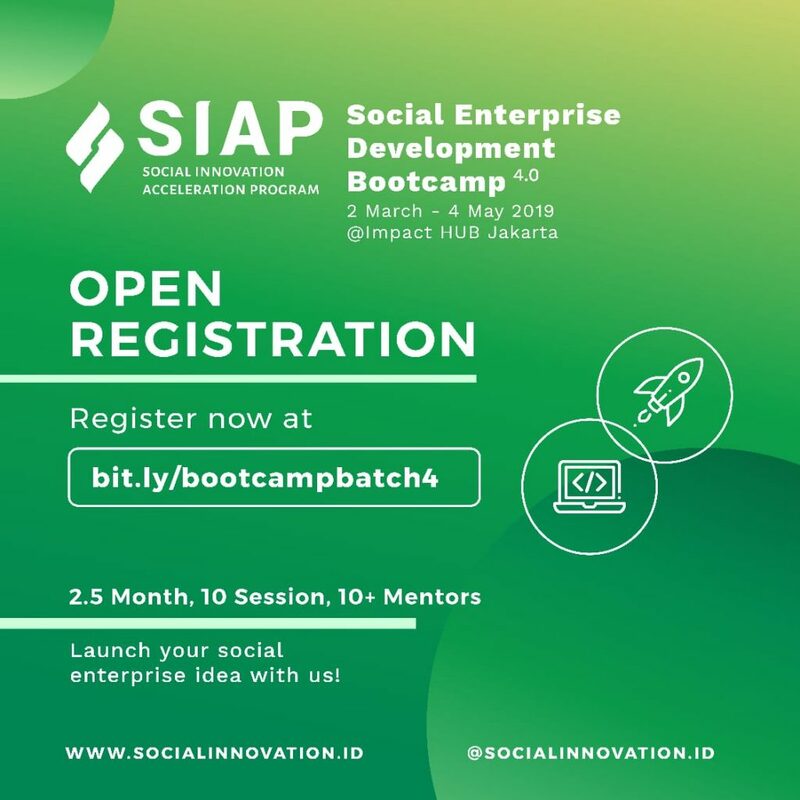 In SIAP Bootcamp Batch 4.0, we will turn ideas into real product, social enterprises that ready to make impact on society!